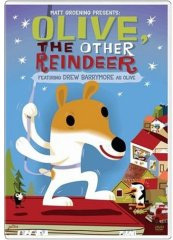 Olive, the Other Reindeer is an animated movie created by Matt Groening, the same Matt Groening of The Simpsons. The story is about a small dog named Olive who is not like other dogs, she even has a pet Flea named Fido. When Santa is going to have to cancel his flight because one of the reindeer is hurt, Olive believes that she can go and help Santa fly on that Christmas Eve. This movie has so many references to A Christmas Carol, such as a song sung by the Postman who doesn't like Christmas called "Bah Bug and Hum" and when Olive says "Ever since Tim was tiny", referring to her owner Tim. This is a very good Christmas holiday movie and I find it very enjoyable. This May I went to a book fair and my boyfriend came upon this book. I was really excited because I love A Christmas Carol and this book was a reference to the tale and as I read the summary I found that it is a Valentine's Day twist on the tale. 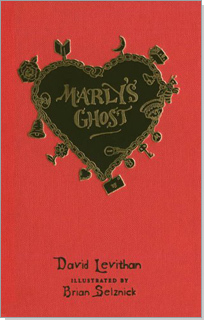 I read it and found the story to hold many of Dickens' original ideas or references to them. It was very nice reading this book and tying things to the original tale. My niece pointed out that the episode, Born Again Krabs, is very much like A Christmas Carol. Mr. Krabs is very greedy in trying to sell an old krabby patty and as a result gets taken by the Flying Dutchman to Davy Jones' Locker, where Mr. Krabs says he can change. The Flying Dutchman does indeed let him change, but Mr. Krabs goes back to being greedy. My niece also pointed out that there is a reference to A Christmas Carol in Shrek. The Gingerbread man is like Tiny Tim. 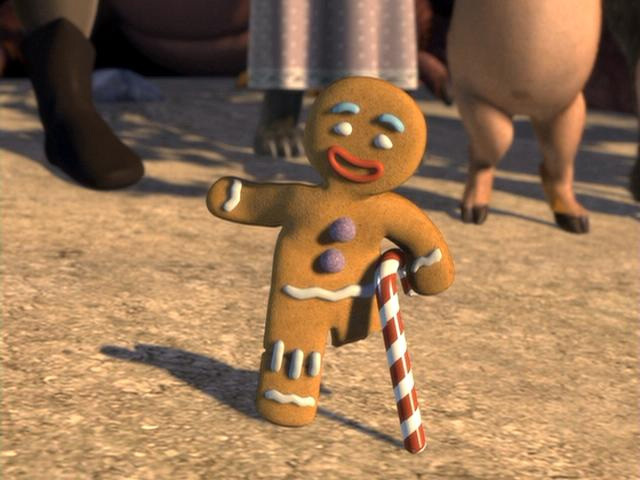 At the ending of the movie, the Gingerbread man is leaning on a candy cane (because his legs were hurt at the beginning of the movie by Lord Farquaad), and he says, "God Bless Us all, every one," just as Tiny Tim says in A Christmas Carol. There are several episodes in The Simpsons with references to A Christmas Carol. An episode in season 11 of The Simpsons entitled Grift of the Magi has several references to A Christmas Carol. 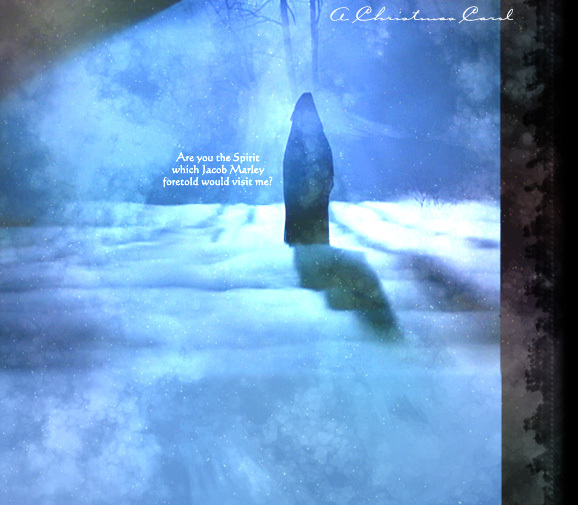 In the episode The Last Temptation of Homer there are several references. - Homer's guardian angel, Colonel Klink, shows him how "it could have been". - Bart talks briefly in a Cockney accent in this episode and among the things he says is "Shine yer boots, guv'ner?" In the episode A Hunka Hunka Burns in Love there is a reference to Scrooge McDuck, a Walt Disney character from Disney's A Christmas Carol. In the episode 'Tis the Fifteenth Season (FABF02) Homer spends most of the money he got from selling a Joe DiMaggio rookie card from Mr. Burns, but he Homer comes to realize his greedy ways when he sees "A Christmas Carol" on TV. So he reverses course and starts to do favors for everyone he can, making Flanders jealous in the process. In the episode Burn's Heir a boy says "Why, today is Christmas Day, sir!" In the episode And Maggie Makes Three, there is a little boy that shines shoes. In the episode Simpsoncalifragilisticexpiala-D'oh-cious, Burns says, "Bah, humbug!" In the episode The Dumbbell Indemnity, Homer's ghost is similar to Jacob Marley. In the episode Mother Simpson, Homer reads his name on a Tombstone like Ebenezer Scrooge. In the episode Old Money Grampa Simpson asks, "Is there room at your table for a foolish old man?" In the episode Springfield Up (JABF07) Homer realizes that his life is really great especially with Marge and he looks out of a window at one point and tells a boy to go buy him the biggest goose he can find, and the boy replies, "And then what?". There is also a reference to Beauty and the Beast on this one I think. Thanks to The Simpsons Archive.